John Fletcher was able to enlist the skills of eminent scholars to write the 20 diverse chapters contained within the covers of this volume. A most important work of Frederick Lanchester is his book of 1916 titled Aircraft in Warfare, details of which are still taught and in use today in military academies. 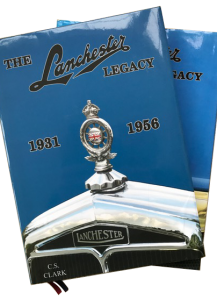 No copies are available of this anymore but the book is analised within Lanchester Legacy Volume III. Full details of the contents of this outstanding reference work are shown below. Chapter I	THE LANCHESTER FAMILY by John Fletcher, Editor. The Lanchester family tree dating from the 1700s to the present day plus brief accounts of Dr Frederick Lanchester and his seven multi-talented siblings. Chapter 2	FREDERICK WILLIAM LANCHESTER by John Fletcher, Editor. 19 biographical pages on the life and times of the eminent scientist, engineer and mathematician. Chapter 3	FRANK LANCHESTER by John Bingeman, Royal Navy Commander(Rtd) and grandson of Frank Lanchester. 23 pages detailing the work of this articulate Commercial Director, Vice-President of the R.A.C. and personal friend of the Royal Family. Chapter 4	GEORGE LANCHESTER by Mrs Elaine Lanchester, daughter-in-law of George Lanchester. 15 biographical pages on the work of this highly-gifted, but over-modest, engineer and designer. Chapter 5	AERODYNAMICS by John Ackroyd, Senior Aerospace Lecturer at Manchester University. 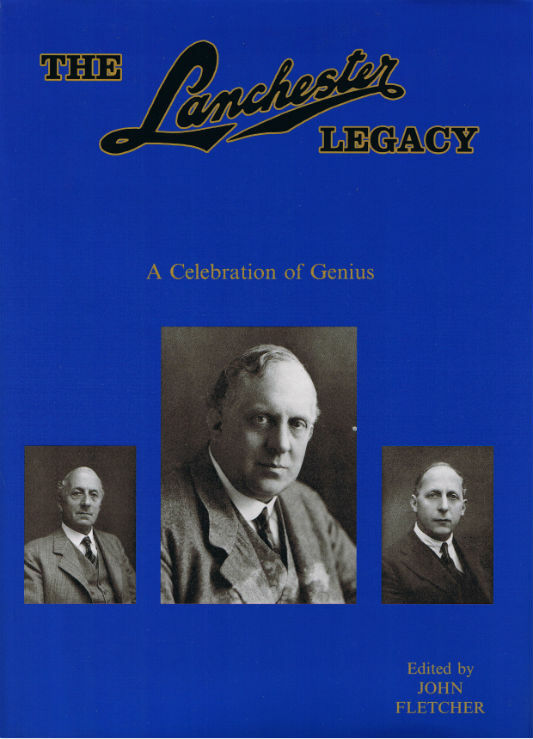 An in-depth account of Frederick Lanchester’s amazing aeronautical work, from long before the Wright Brothers’ first flight, in 1903, until his worldwide acclaim in later life. Chapter 6 AERODONETICS by John Ackroyd, Senior Aerospace Lecturer at Manchester University. Frederick Lanchester’s pioneering work regarding the stability of an aeroplane in flight. Chapter 7 AEROPLANE DESIGN & CONSTRUCTION by John Ackroyd, Senior Aerospace Lecturer at Manchester University. Frederick Lanchester’s design aspects and principles shortly after World War I. Chapter 8	AIRCRAFT AT WAR by Dr. Barry D Hobson, Consultant in Aerospace Education and Training. Frederick Lanchester’s theories on the strategy and tactics of arial warfare, showing his original and far-sighted grasp of the potential role of aircraft. Chapter 9 MATHEMATICS IN WARFARE written jointly by Ken Bowen, Professor of Operational Research at the University of London and Ken McNaught, Lecturer in Operational Research at the Royal Military College of Science. Frederick Lanchester’s profound mathematical theories and battle-plans, formed shortly after World War I. They are still used today by countries around the world and inquiries into operational research (as it is now known) continue. Chapter 10	APPLICATION OF n-SQUARE LAW TO BUSINESS by Yoichi Takeda, Founder of Lanchester Systems, Japan. Analysis of principles of competition laid down by Frederick Lanchester, which have been widely applied in Japanese business. 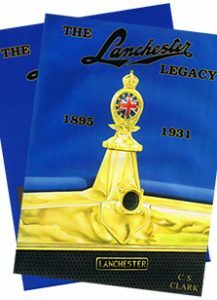 Over 2 million books on Lanchester’s business strategies have been sold. Chapter 11	THE DEFENCE OF GIBRALTAR by Dr Frederick Lanchester. Written at the outset of World War II, details the vital importance of Gibraltar to Britain’s position in the Mediterranean and the East. Chapter 12 LANCHESTER’S USE OF PETROL-ELECTRIC DRIVES by Roy L Thomas, Historian and Engineer. The inventor’s foresight and success in developing petrol-electric technology, the application of which is still on-going today. Chapter 13 LABORATORIES LIMITED by Roy L Thomas, Historian and Engineer. Frederick Lanchester’s company for the design and manufacture of advanced radios, speakers, microphones, amplifiers and gramophones. Chapter 14 LANCHESTER’S SPAN by Joe Hastings, Structural Engineer and Architect. Frederick Lanchester’s interest in civil and structural engineering, his advanced designs and theories, making him ‘virtually a man out of his time in certain fields of engineering’. Chapter 15 OPTICS by Dr. Fred Fitzke, Head of the Laboratory of Physiological Optics, University of London. Frederick Lanchester’s papers from the 1930s have provided a basis for future generations. Chapter 16	THE MUSICAL SCALE by Dr Norman Dyson, Lecturer in Physics, University of Birmingham. Frederick Lanchester’s love of music, together with his own conception of The Musical Scale and his subsequent research. Chapter 17	POETRY by Barry West, Deputy Librarian, Coventry University. 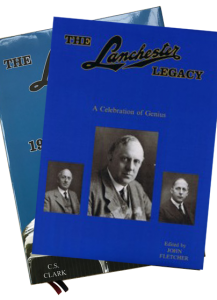 Many of Dr. Lanchester’s poems and verses, written under a pseudonym, are reproduced here. Chapter 18 THEORY OF DIMENSIONS by David R Thomas, Computer Consultant. Dr. Lanchester’s study in 1936. Chapter 19 AVIATION INVENTIONS by Norman Ricketts, Aerospace Training Consultant. Machine-gun interrupter mechanisms to reverse contra-rotating propeller systems, showing that Dr. Lanchester was truly ‘a man ahead of his time’. Chapter 20 OTHER INTERESTS by Roy Thomas, Historian and Engineer. Many diverse topics covered here, showing the incredibly wide range of Dr. Lanchester’s work. ALSO The many hundreds of PATENTS are listed by June Dawson, Engineering Librarian at Coventry University. 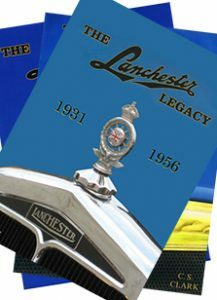 LANCHESTER PUBLICATIONS are also detailed, along with a bibliography and full index.